Join in this celebration of Scotland’s traditional national dish to help feed hungry children in some of the poorest countries across the globe. The small Scottish Highland village of Carrbridge – home of the annual World Porridge Making Championships – has teamed up with the Scottish-based charity, Mary’s Meals to establish an international World Porridge Day. We hope you will take part by joining porridge makers across the globe to help support the work of Mary’s Meals. For all the latest news, check out the Mary’s Meals Facebook Page. You can also follow @MarysMeals on Twitter. Mary’s Meals, which operates its international headquarters from a tin shed in the Argyll area of the Scottish Highlands, has one simple aim: To provide a daily meal in a place of education so chronically hungry children are encouraged into school, where they can gain a basic education that can provide an escape route from poverty. Mary’s Meals works in 14 countries, providing daily meals for more than 1.2 million hungry children every day they attend school. World Porridge Day aims to raise awareness of the role that porridge plays in Mary’s Meals’ largest school feeding proramme in Malawi, where a daily mug of maize-based porridge ‘likuni phala’ enables children to attend class and learn. One year after the introduction of Mary’s Meals, 100% of teachers said children in their class found it easier to learn. It costs just £13.90 to feed a child with Mary’s Meals for a whole school year. You can help impoverished communities to build a better future by supporting Mary’s Meals on World Porridge Day. Get together with family, friends or workmates and cook up some good, hearty porridge – or maybe bake some oatmeal cookies or flapjacks – and ask everyone to make a donation to help support Mary’s Meals. Mary’s Meals can provide a mug of likuni phala porridge for just 7p, so donations of any size will make a huge difference. 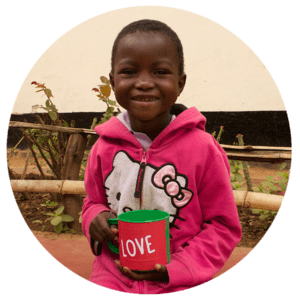 Mary’s Meals is currently providing meals to children in: Benin, Ecuador, Haiti, India, Kenya, Lebanon, Liberia, Malawi, Myanmar, South Sudan, Syria, Thailand, Uganda, and Zambia. Throughout the world, hunger blocks poor children from gaining an education, which is their most likely escape route out of poverty. Mary’s Meals offers a simple solution to this problem by working with local communities to provide nutritious daily meals for children in school. Where children receive Mary’s Meals in their place of education, there is a rise in enrolment, attendance and academic performance. For information on Mary’s Meals, please visit marysmeals.org.uk and to find out how you can get involved in World Porridge Day, please visit worldporridgeday.com.